Featuring two of my favorite grains, quinoa-millet salad has become a regular in my house these days. Its fairly quick and can easily be prepared for a large group of people. 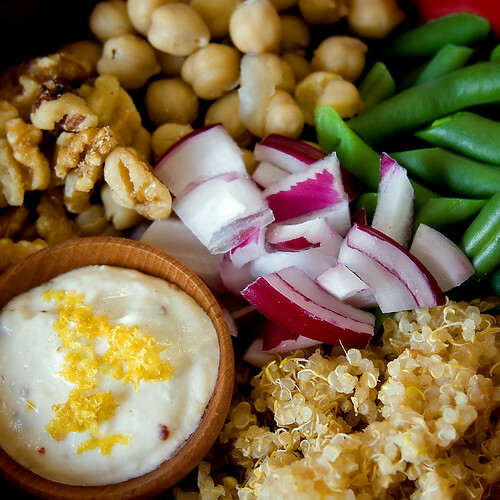 The salad and the dressing is inspired by this Heidi Swanson’s recipe. Light, refreshing, yet filling, there are 101 ways to make this salad. You can serve it with this simple lemon-mustard vinaigrette or with a generous helping of roasted fall vegetables or… well, you get the idea. To add more nutritional value to this already protein rich salad, I sometimes use sprouted quinoa. As Hannah writes, sprouting quinoa is easy and so much fun, in spite of its miniscule size. Instead of using a sprouting jar or cheesecloth, I use a strainer to sprout the grains effortlessly. This is how I do it. Take quinoa in a fine mesh-strainer. Rinse thoroughly. Take a bowl into which the strainer sits snugly. 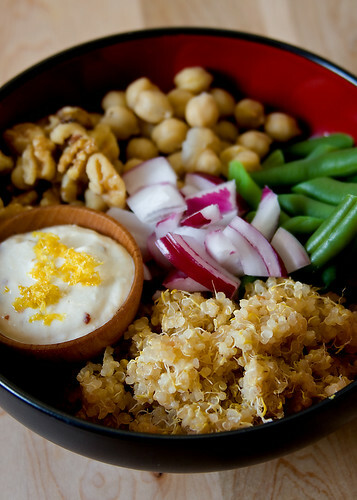 Fill the bowl with water, place the strainer with quinoa and let the grains soak for 8 – 10 hours. Later, empty the bowl of water and place the strainer back on top of it. Any residual water will gradually percolate into the bowl, maintaining the right level of moisture for the grains. Leave this setup for 2 days, rinsing only every 12 hours in between. The grains would have sprouted and is ready to be used. Sprouted quinoa cooks faster than in its raw form. Pressure cook millet and quinoa with scant 2 cups (1½ cups, if quinoa is sprouted) of water for 2 whistles. Or cook on stovetop for 20-25 minutes until soft. Fluff and cool slightly. Blanch beans in salted water for 5-6 minutes. Switch off the flame, add rinsed garbanzo to absorb the salt and warm the legume lightly. Drain and reserve. In a large bowl, whisk together the dressing ingredients. Add cooked grains, green beans, garbanzo, red onion and cilantro. Mix together, and check for seasoning. Serve warm with a crack of black pepper. This salad can also be served cold. 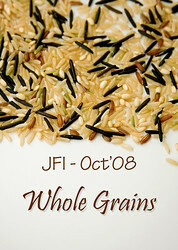 This is my second entry to JFI – Whole Grains. I have been notified that the event logo was not being displayed properly. This has been corrected now and I apologize for the inconvenience. In India, upma is synonymous to quick meal. With oats and tons of vegetables, this one pot meal is not only easy, but healthy and delicious. With little seasoning, this dish gets its flavor from vegetables only. 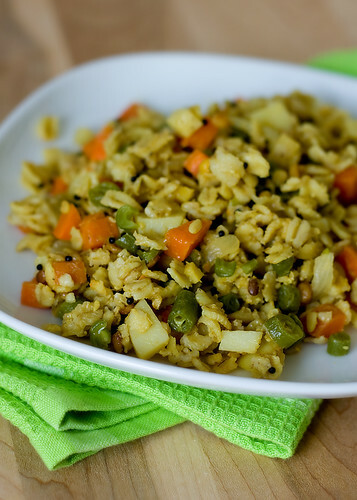 I have always used steel cut oats for this upma. Although rolled oats can be used, please avoid using instant oats. The chewy texture of steel cut oats makes all the difference. Heat 1 tbsp of oil in a large, deep skillet. Splutter mustard seeds, and roast urad dal, chana dal and curry leaves. I usually remove the seasoning from the pan in this stage and add towards the end. This way the dals stay crunchy. You may leave it in the pan and proceed further. In the same skillet, heat remaining oil, sauté onion, green chillies and ginger. When onion turns soft, add all the vegetables and sauté briefly. Add water to the vegetables and bring to a boil. Add sambar powder (or the combination of spice powders), salt and oats, and mix thoroughly. Cover and cook over a medium flame for 15 minutes. When done, oats should be soft, but chewy. If oats is not cooked through, sprinkle some more water, mix, cover and cook for additional 5 minutes. Add seasoning at the end (if reserved as mentioned previously) and serve hot with a dollop of yogurt. This is my first entry for this edition of JFI that I am hosting. 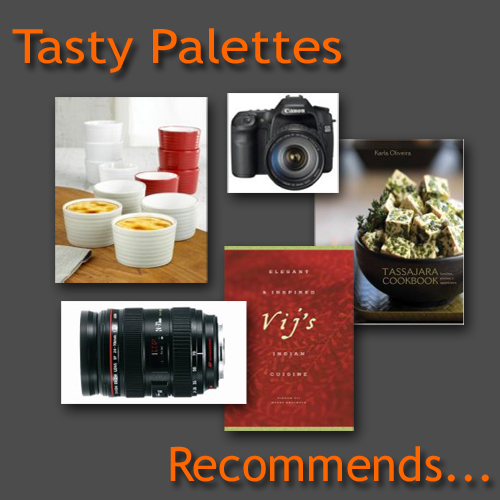 This month’s theme is Whole Grains.